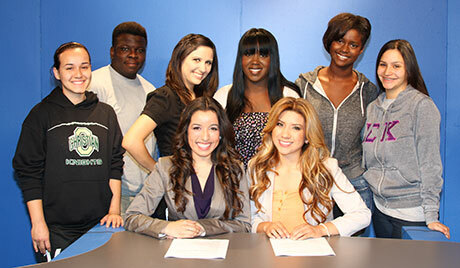 The University of La Verne Communications Department is considered among the best programs in the state of California. Our journalism program produces two regular publications—the Campus Times, the university’s weekly campus newspaper, and La Verne Magazine, a twice-yearly full color city magazine serving the city of La Verne. Our broadcast program operates LeoFM, La Verne’s radio station, and LVTV-3 and KWST, the community access television stations for the cities of La Verne and San Dimas. Student work in these areas regularly earns national/state awards and honors from professional and collegiate organizations across the country. Likewise, our graduates hold prestigious positions in the media, both locally and nationally. We offer a high quality program with many different course offerings. Because of small class size, students receive hands-on training with their professors to feel comfortable with technology. An education in communications is a gateway to many successful career paths in the changing media landscape. The University of La Verne Communications Department is proud to be among the best in the state of California in educating future media professionals. <p style="float: right;margin: 0 0 10px 15px;width:240px;height: auto"> <img src="https://lvcampustimes.org/wp-content/uploads/2019/04/190412_CT_MKG_0545.jpg" width="240" style="max-width: 100%;height: auto" /> </p>Drag queen Storm Chaser performs at a drag show, part of the Claremont Colleges’ GAYpril events.